The annual Christmas drink and drug drive campaign saw 95 arrests in Dorset compared to 78 during the same period the previous year. During the annual Christmas drink and drug drive campaign, Dorset Police targeted those who drive while under the influence and in total 95 arrests were recorded. 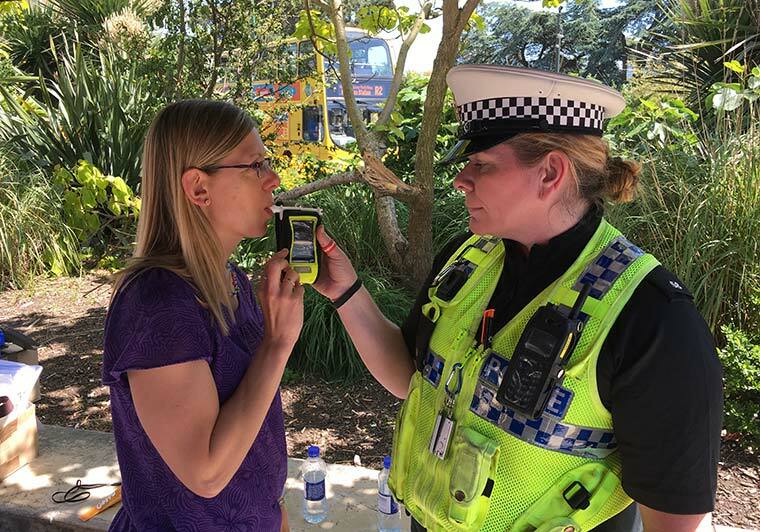 The number of breath tests carried out by officers between 1 December 2017 and 1 January 2018 was 413 compared with 554 during the same period the previous year. A total of 78 drug wipe tests were also carried out at the roadside, with 42 people testing positive for having cocaine or cannabis in their system. During the 2016 Christmas campaign, 56 drug wipe kits were used with 32 people charged. To charge for drug driving offences, a blood sample must be analysed. These are currently being examined before charges are brought against suspects. Of the 53 people charged with drink driving related offences, 45 were men and eight were women. The youngest was 18 and the oldest was 71, with the average age of those charged being 36. As with previous campaigns, the names and court appearance details of individuals charged were released to the media. Of the 95 arrests during the campaign – 42 were for driving under the influence of drugs, 46 for drink driving and seven for failing to provide a sample for analysis. During the same period the previous year, 78 people were arrested. During the campaign, Dorset Police encouraged those out enjoying a drink during the festive period to plan how to get home without driving. Motorists were reminded of the potential consequences of driving while under the influence and the continuing effects that alcohol and drugs can have the morning after. Motorists were tested during routine stop checks and breath tests were requested from all drivers involved in road traffic collisions, irrespective of whether or not a drink driving offence was suspected. Police Constable Heidi Moxam, of the traffic unit, said, “Those charged throughout the campaign were not necessarily your ‘usual’ suspects. Too many people who are otherwise law-abiding citizens, fail to consider the untold devastation that drink and drug driving can cause. “This year, we have placed a greater targeted approach on catching those drink driving on our roads and carried out increased patrols to catch those driving under the influence of drugs. While it is disappointing to see an increase in the number of people caught drug-driving, it is positive we’ve been able to take these irresponsible drivers off our roads. “I have been the person knocking on the door to inform relatives that their loved one has been killed as a result of a motorist who thinks it is okay to get behind the wheel while under the influence. This is something that I do not want to do during the festive period, or any other time of year. If you suspect someone of driving under the influence of alcohol or drugs, please dial 999 immediately with the vehicle information and direction of travel so we can intercept.